Folklore celebrates many holidays throughout the year. And we have gathered around in major festivals in each season. When you explore the local area There is a popular festival. You should join during your stay in Chiang Mai. Chiang Mai people like to dress up. Make the best look. On these occasions, visit Heavenly Nails for eyelash extensions before going to these festivals. Well known is the festival of lights. When the villagers cleanse their sins into the river. 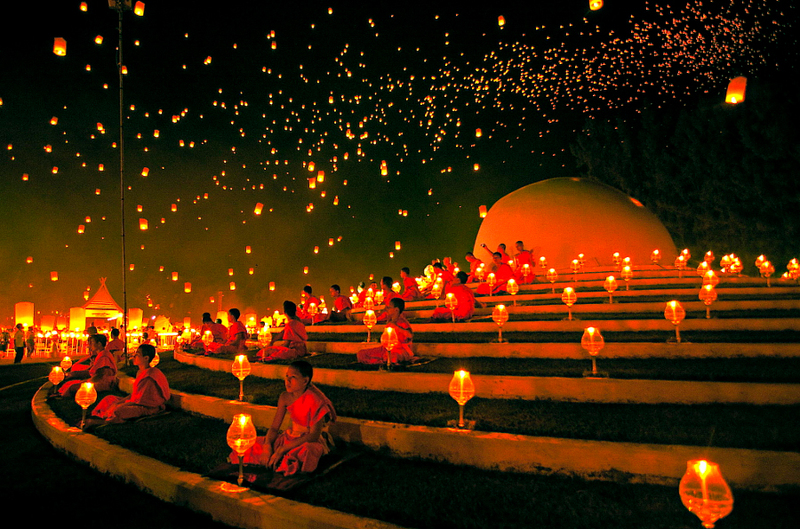 And ask for forgiveness before releasing hundreds of luminous paper lamps. The beauty of the light in the darkness is the sparkle and it is a popular event. To photograph to tourists. The event takes place during the full moon on the 12th of November in the vicinity of various waterways throughout Thailand. This festival is known to Thai people. That’s the problem from last year. And ask for new ideas for the future. Yi Peng Festival is the annual event. It is held on the 12th of each month. And often celebrated in November. Lighting Bulb Was released to the sky. And part of Loy Krathong festival. Visakha Puja was held on May 29 and celebrated the birth of the Buddha 2,500 years ago on the full moon day. This event is a celebration of three events during the Buddha’s life, namely, when he was born, enlightenment and extinction 45 years later after enlightenment. Public holiday is the day when most Thai people go to the temple near their home. Alcohol is not allowed. As a tourist You can experience Visakha Puja by visiting Wat Doi Suthep. Free food and water are usually provided for those who walk up to Wat Doi Suthep. Many people bring flowers to the Buddha before candles and incense. Some Thai people choose to stay overnight. Before seeing the sunrise in the morning.